Never Drill Holes In Your Boat Again! 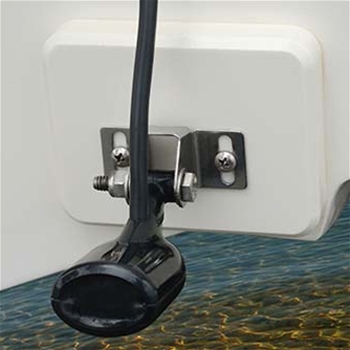 The Stern Saver Glue-On StarBoard Transducer Mounting System is a must-have for any boat owner looking to protect their vessel while securely mounting their transducer. The ‘Original Stern Saver’ model is 4.5” X 3.5” X 0.75” which is perfectly sized for mounting a wide range of transducers. Made from King StarBoard, the toughest marine grade plastic on the market- the Stern Saver will hold up to rugged use. Installation is simple and easy. Simply use the alcohol pads to prepare the mounting area and stick on mounting spike. Then, dispense the included glue onto the Stern Saver and stick it onto your boat. Now mount your transducer or other accessories and enjoy the peace of mind of protecting your fiberglass or aluminum boat. Transducer placement is important to your overall sonar performance. Drill and re-drill into the Stern Saver until your transducer is in the perfect spot without ever creating a hole in your boat! 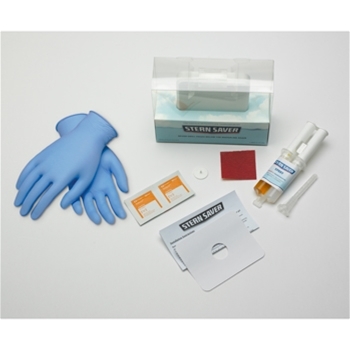 Each Stern Saver comes with: High-Density Polyethylene Block, Two-Part Adhesive with Syringe, Mounting Spike, Mounting Template, Alcohol Prep Pads, Sandpaper, Rubber Gloves and Instruction Booklet.